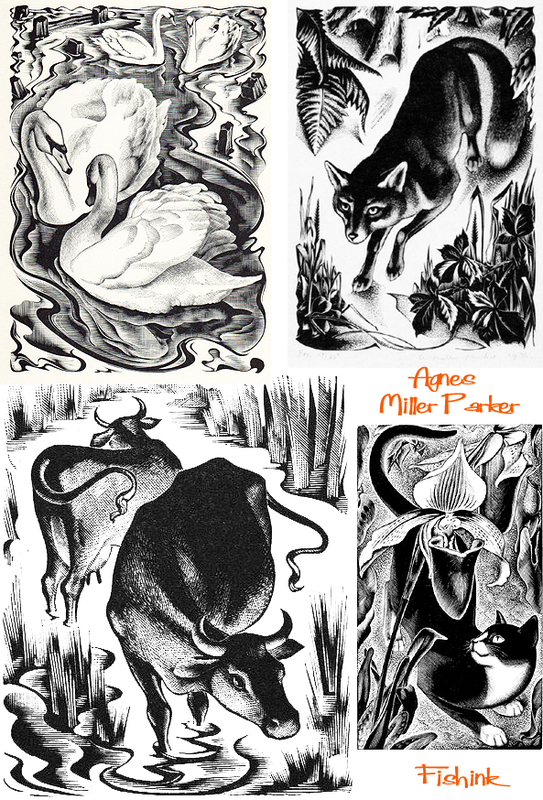 Agnes Miller Parker (1895-1980) was a British woodcut and wood engraving artist who is famous for her illustrations to many classic works of English literature. Halsby and Harris, in The Dictionary of Scottish Painters (1990) suggest that Parker’s early paintings, as well as those of her husband (painter, William McCance), reflect the short-lived group of artists known as Vorticists, active in London in the 1920s. 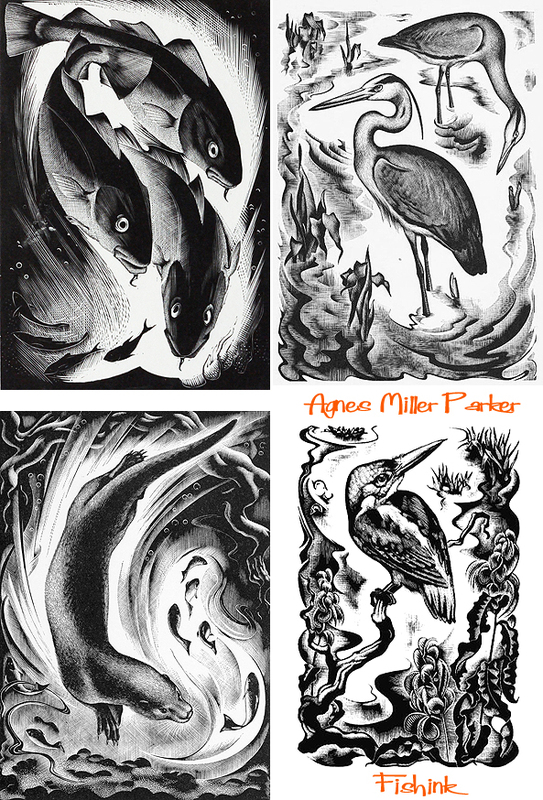 The main body of her work consists of wood engravings for book illustrations. 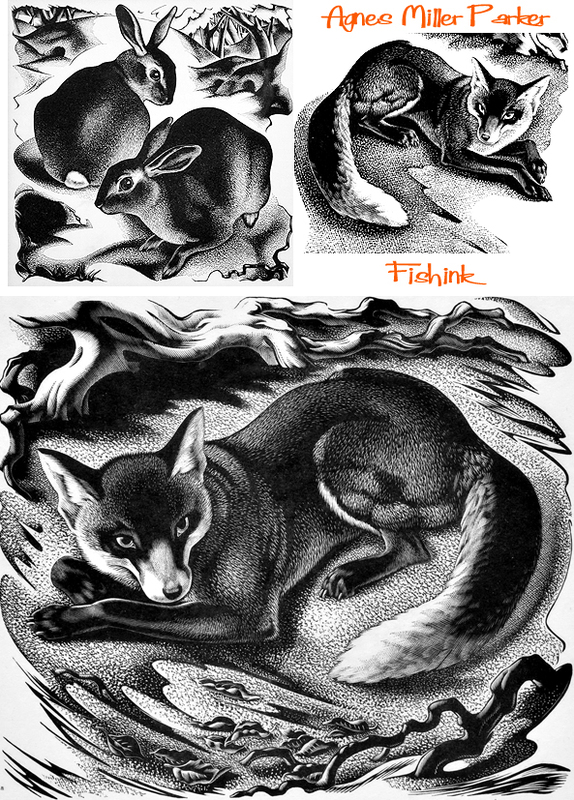 Halsby and Harris characterise these as demonstrating fine draftsmanship and skillful use of black and white design. 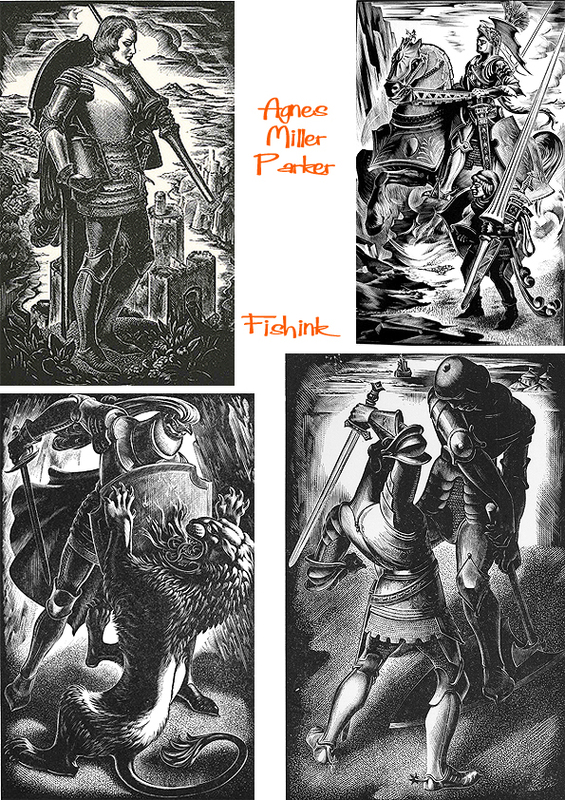 Her work largely dates from the 30s and 40s, but she worked as an illustrator from 1930-1969. 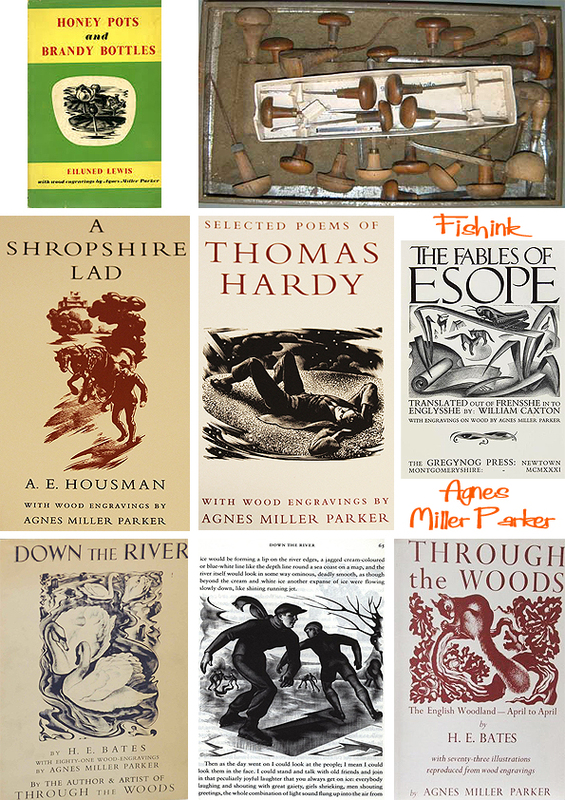 Her most famous illustrations include her illustrations for Edmund Spencer’s The Faerie Queene (1953), Aesop’s Fables (1933), Thomas Gray’s Elegy Written in a Country Courtyard (1940), her illustrations for Thomas Hardy’s novels, and her animal illustrations. These are her tools and a selection of the many books she illustrated. 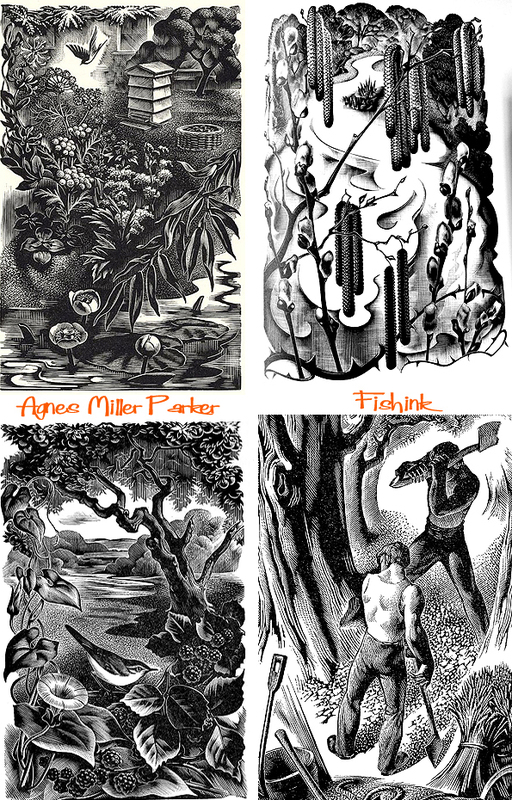 Her work was part of a rising interest in woodcut and wood engraving that started in the 1910s and stretched into the 50s. She was also part of a general trend of a growing number of women in illustration, especially in children’s book illustrations. The sense of movement and fine level of detail in her wood blocks is stunning. Swooping swallows or growing catkins, she had a skilled hand and a trained eye. Discover more about the School Room painting below here from 1927. 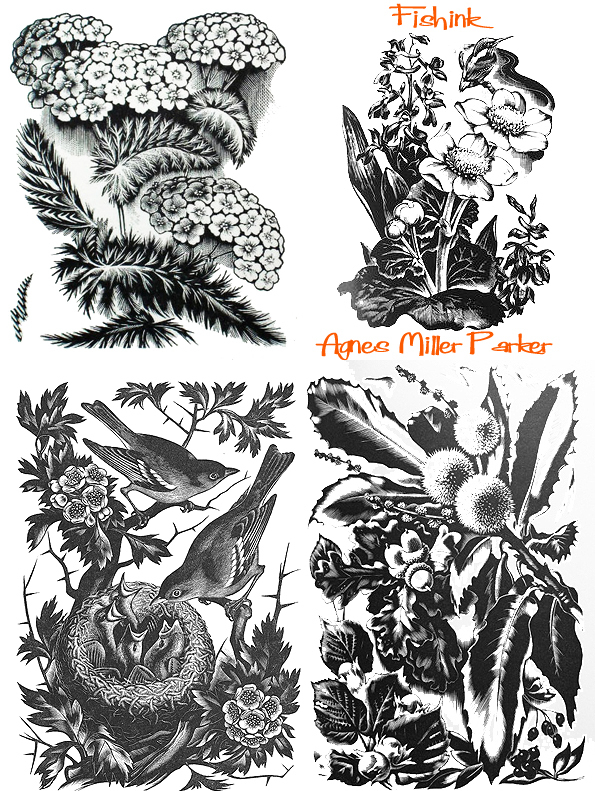 Compared to other British wood engravers, including fellow female engravers Clare Leighton, Gwen Raverat, and Gertrude Hermes, Agnes Miller Parker is a near-unknown. Her fame has only been reassessed within the past decade, which is a shame as her work is comparable to those of the greats. 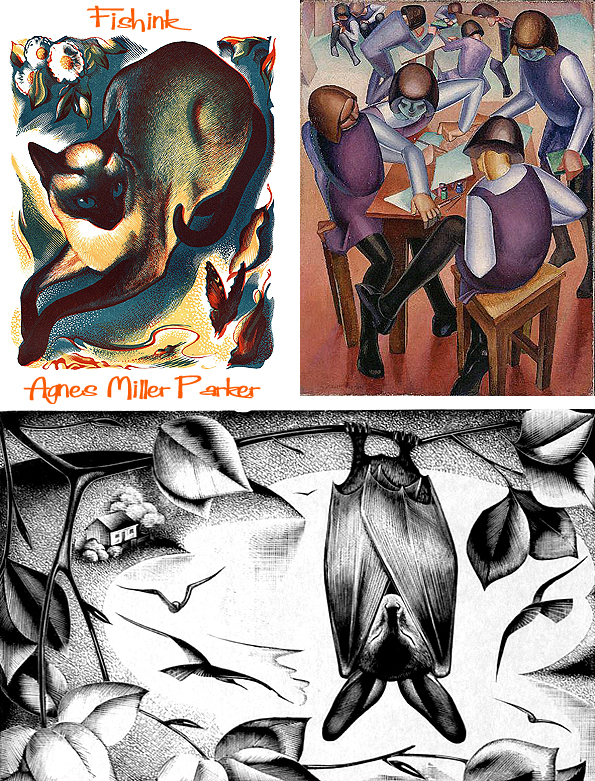 Part of the problem was that she rarely dabbled in fine-art printmaking, sticking primarily to illustration art, and the books she illustrated for were largely poor sellers. 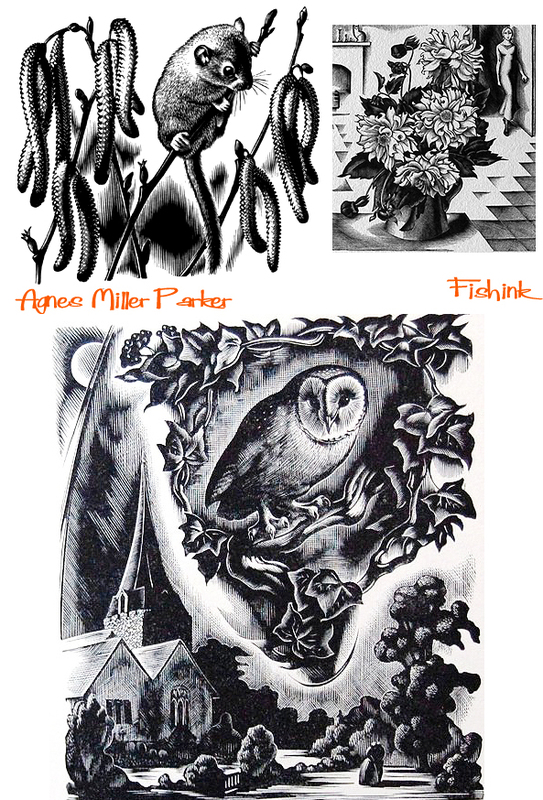 Thankfully as more and more interest has been given to British wood engravers and women in printmaking, her name is slowly gaining fame. ← Abraham Palatnik Op Art, Mobiles and Sculptures. What fantastic work, so evocative of childhood, I can almost smell the books! Love how dark the images are and the sense of movement. Also the mention of Gertrude Hermes reminds me of a bronze by her of Charles Trevelyan which is placed so that he looks out over the landscape at (NT property) Wallington, Northumberland. Thanks!! 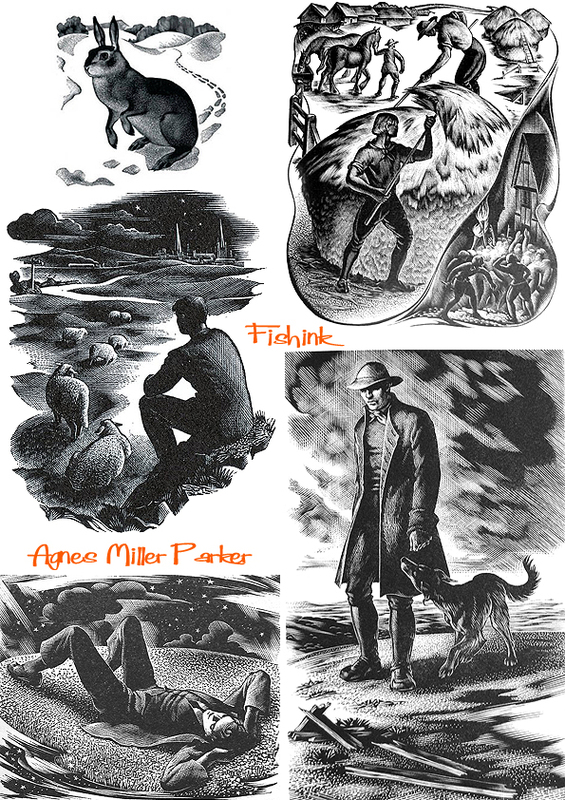 GREAT article on A.M.P.. one of the best illustrators ever. Thanks Mark, such passionate work deserves to be seen and shared. A pleasure to do both.